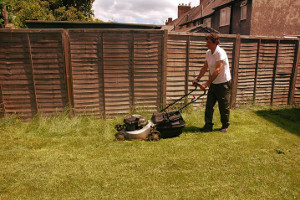 Gardening and Tree Surgery N14 East Barnet | RDA Cleaning & Maintenance Ltd. If you have a great patio in your property, you are lucky. A garden can make the leisure time at home more pleasant and even healthy - outside at the fresh air it is so beneficial to relax! But to take those benefits of your garden, proper care is necessary. Remodel your garden area without even a single effort! Make it the outdoor paradise of your home simply and on a budget. We can offer you a great bunch of modern and competitive gardening services in East Barnet N14 on a budget! Our professional gardening company is a smart solution for the perfect and effortless exterior space. A team of two gardeners in East Barnet N14 arrive at your location. Once there they will inspect the actual condition of your garden. After this, they will listen to what precisely the customer requires them to do. Then our professionals will discuss every detail of the service with the customer. They will suggest the proper means to deal with the problems in his garden, how much hours it is going to take and at what price it is going to be. If they both agree on the terms then it is possible for our gardeners to start right away. Whethere you don`t have time, or your garden hasn`t been touched and maintained for years, the talented and motivated gardeners come to help you right away. All homeowners, tenants and landlords are welcomed to order the fast, secured, eco-friendly and effective garden renovation and maintenance in East Barnet N14. Our trustworthy garden service company guarantee you full customer support and perfect final outcome. Call our gardeners and receive the best offer for your home exterior. All the gardeners are well-trained, educated and fully insured. In case of any omission, loss or damage during the procedure, our competitive gardening company will cover all the faults. Reserve An Excellent Gardening In N14 East Barnet Today! Don`t let your patio to become the spitting image of a horror movie décor! Let it be shiny, pleasant and attractive for your free time during the weekends or for the awesome BBQ parties you love organizing. Order the eco-friendly gardening in East Barnet N14 now! Just give us a call on this phone number 020 3404 1646 right away and we will respond to you as soon as possible!